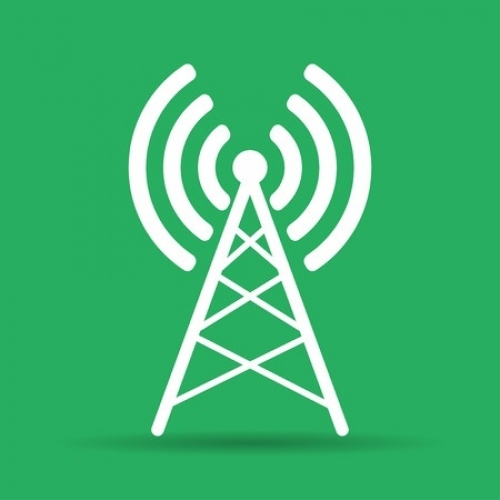 Ofcom has today introduced a new change that means switching Mobile Network Operator (2G, 3G or 4G) in the United Kingdom will now become as easy as simply sending a free text message, although the new system won’t be fully introduced for another 18 months (1st July 2019). At present anybody who wishes to switch to a different mobile network (EE, Vodafone, O2 and Three UK etc.) has two potential avenues and the one you take depends upon whether or not you intend to keep your phone number (i.e. “port” it with the service). Option 1: A switch which includes a number port, which requires the customer to obtain a Porting Authorisation Code (PAC) from their current provider (the Losing Provider ‘LP’) and this must then be given to their new provider (the Gaining Provider ‘GP’), who initiates the transfer. Ofcom calls this a Losing Provider Led (LPL) process or “donor led”. Option 2: A switch without a port that requires the customer to organise the stop and start of the old and new service themselves. Ofcom refers to this as a Cease and Re-provide (C&R) arrangement. Essentially this is just like taking out a new service and contract for the first time. However the regulator claims that around 38% of switchers (2.5 million people) say they experienced at least one major problem when switching, while seven in ten encountered at least some difficulty (e.g. difficulties with contacting their current provider (11%), cancelling their service (10%) or getting the necessary information from their current provider (9%)). In response Ofcom has designed an automatic switching process called Text-to-Switch, which takes a lot of the hassle out of the process by simply asking users to text a free number for their existing mobile operator. In reply your operator should then send a special code that can be given to a new operator to start the switch (i.e. there’s no need to talk with support staff). The code will then be valid for 30 days. The new rules also ban mobile providers from charging for notice periods running after the switch date, which the regulator hopes will put an end to people paying for old and new services at the same time (it’s claimed that this could save UK mobile customers around £10m in total each year). “Too many people are put off by the hassle of switching mobile provider. Our changes will make it quicker and easier for mobile phone users to get a better deal. The new system represents a significant change and as such operators have been given plenty of time to adapt, although it’s hoped that most will introduce it before the official deadline. 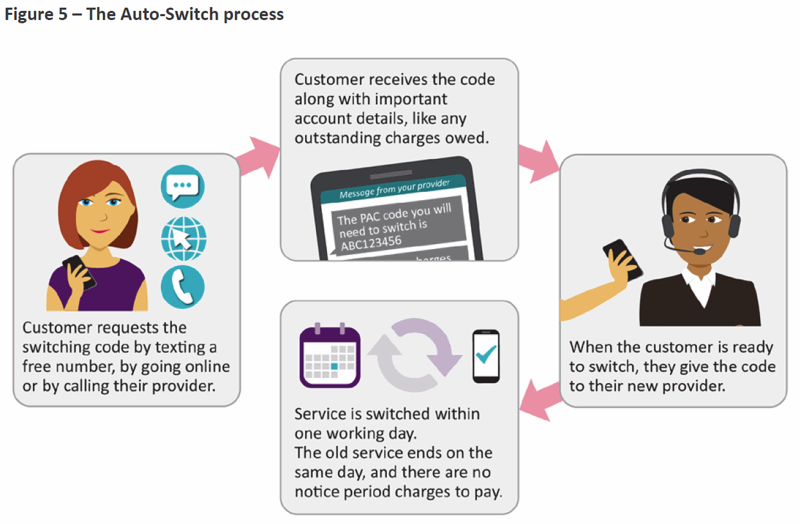 Otherwise we’ve summarised the full detail of how Text-to-Switch works below and you can also read Ofcom’s statement for further information. The customer requests from their existing provider the switching code – either a PAC (“Porting Authorisation Code”) if he/she wishes to port their number, or an N-PAC (“Non-porting Authorisation Code”) if wishing to switch without a port. Customers can request these by text, through their online account, or by speaking to their existing provider over the phone. Requests by text will be made to two different short codes – one to request the PAC, and another to request the N-PAC. Each short code will be the same across all providers. Requests for a PAC/N-PAC relating to a single switch involving between 2 and 24 numbers may only be made via online account or by phone. Customers may however submit multiple single requests by text. There will be no charge when using these methods. The customer will receive the PAC/N-PAC immediately by text if they are a residential customer, and if requested through an online account or by phone, the customer will also receive it immediately by these means as well as by text. In the case of business customers, they can request a PAC/N-PAC by phone, and they will be given this immediately and where this is not possible, within 2 hours by text. If requested through an online account or by text, they will receive the PAC/N-PAC within 2 days by the means requested as well as by text. The PAC/N-PAC is valid for 30 days. Along with the PAC/N-PAC, the text will also include Switching Information i.e. information about the direct financial costs of switching. Customers can also ask for Switching Information independently of any decision to switch by using a separate short code. • a web-link directing the customer, at a minimum, to the customer’s account login page. • the contract end date. The Switching Information will be accurate as of the day it is sent to the customer, and will set out the total charge for mobile services (if any) to be paid by the customer to their current provider. Where the request to switch is for more than one mobile number, any charges payable will be aggregated across the applicable set of mobile numbers. Customers will also be able to access Switching Information by sending a text request to their current provider, via their online account, or by phone, independently of any need to switch. Providers will immediately return the details via the means by which it was requested, as well as by text. In the case of business customers, Switching Information will be returned within 2 days of request. The customer chooses and signs up for a new service with a new provider (for example in-store, online or by phone) and gives them the PAC/N-PAC. The new provider gives the customer a new SIM, and where applicable, a handset. Once the customer activates his/her new SIM card on the new provider’s network, the old service is automatically deactivated and (where relevant) the customer’s existing mobile number is transferred to the new provider. These processes should be completed automatically within one working day of the activation of the new SIM (unless the customer indicates that they would like a delay beyond one working day). The old provider will send the customer a final bill confirming cancellation. However we note that there seems to be nothing to stop your existing operator from contacting you in order to offer a cheaper deal as part of the process. The first comment has come in. Oh dear. I see that a very subtle change has been made to the process since it was first shown publicly. “Calling their mobile phone provider to leave”. It can be painful to get a mobile operator to give you a PAC now and the best thing about the scheme when first proposed was the lack of contact with the outgoing supplier. But OFCOM have caved and people will still be required to call in to get the code and have to put up with the tricks of the companies to stop you leaving. Some operators may provide a text or online but I’d bet most will stay with the call to leave only method. And that is why lots of people, change their numbers regularly so as to avoid dealing with obnoxious mobile phone support staff. Just get a new PAYG SIM and move on. Where does it say that’s the only method? You have a choice of text, online or calling and the first two mean you don’t need to speak with your existing operator, at least that’s how I read it and how Ofcom explain it. 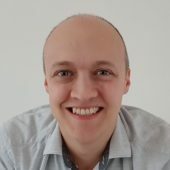 So I’m wrong about the operator having a choice over the contact method. Thank god too. Do these changes not essentially severely limit the ways in which operators can compete in the market? Ofcom seem to want to control everything about a customer’s experience. Operators are left to compete simply on price. There is a severe danger that this kind of regulation encourages race to the bottom. Consider that possibly the best satisfaction comes from MVNOs such as Giffgaff. The process for switching here is far more involved and manual, with self-help encouraged. Yet satisfaction and perceived value-for-money remains high. Perhaps switching is the one area where regulation genuinely can make a difference, given the lack of incentive for industry itself to put in place processes like this one proposed. But the PAC process seemed quite reasonable. Would be interesting to know how much manpower has been spent at Ofcom on essentially re-inventing it. I welcome these changes. I haven’t needed to switch many times, but waiting on hold for half an hour and then enduring the myriad discounts while hoping the call doesn’t drop before you get your PAC is disrespectful. Why would you think customers being able to exit an unwanted relationship is bad? This doesn’t not make fixed term contracts verboten, it just says fees and termination should be transparent and require no human intervention from the losing provider. Hmm… did not read anything to stop the old provider from then bombarding you with texts and/or calls though. Eg, they could send the text response as required and then immediately call your number to try and hassle (sorry, talk) you out of it. Guess they will have to change in the next 18 months or risk the “Wrath of OFCOM”. Aren’t they already breaking any laws? The other day I’ve tried texting the police number, 65156 or whatever, and it didn’t work. That’s not right. Is your number by chance paid for by your employer? Business lines sometimes have that service blocked due to potential for abuse on a line where there might not be anyone reviewing the bills. So there is nothing in the process to identify that the person requesting the switch is the account holder? So I feel a new game coming on, and perhaps help for phone thieves too? It makes it easier to switch providers, and probably easier to take out a contract you’ll later regret too. Anything, I suppose, so we don’t have to think. Just do it, as the admen taught us. Yes I agree. Bad move Ofcom. Back to drawing board again. This is a positive move. Well done Ofcom. In my experience, Three ranks right next to Sky for making your life difficult when you want to switch. Funny to see them commenting. Lol.